Fair Favorite at New York State Fair! Team Turbo New York State Fair Highlights! Team Turbo New York State Fair! 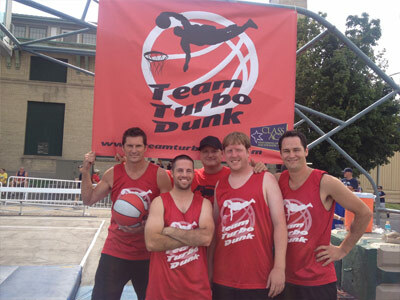 Receive more info about booking "Team Turbo Dunk" for your event! This team of amazingly talented gymnasts has more global experience under their belts at a young age than the Air Turbo Rockets they are named after! 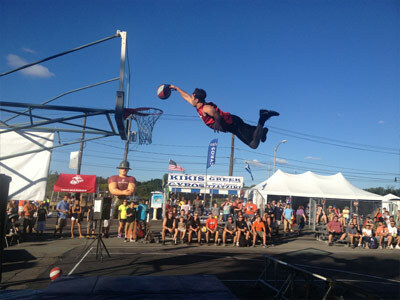 Individually these athletes are Guinness Record holders, stunt doubles for the movies, former Bud Light Daredevils, and all currently perform for NBA & college halftimes as well as fairs, festivals, and worldwide special events. They have propelled their way around the world on several occasions. As these Turbo Dunkers catapult off their trampoline they reach amazing heights. flip and twist their bodies while driving a basketball through the hoop with power, precision, finesse and break neck speed. 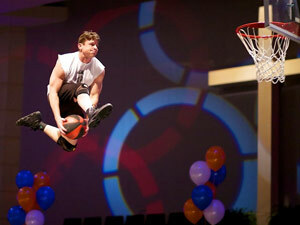 "Team Turbo Dunk holds a Guinness World Record for Most basketball slam dunks by a team using a trampoline in 1 minute!" Obtained on the TODAY show on NBC on September 7, 2015. Watch the video on the with this link! This is a show sure to deliver a Turbo Slam Dunk.